← Spicy Egg Wraps. Hot New Music From Cayucas. 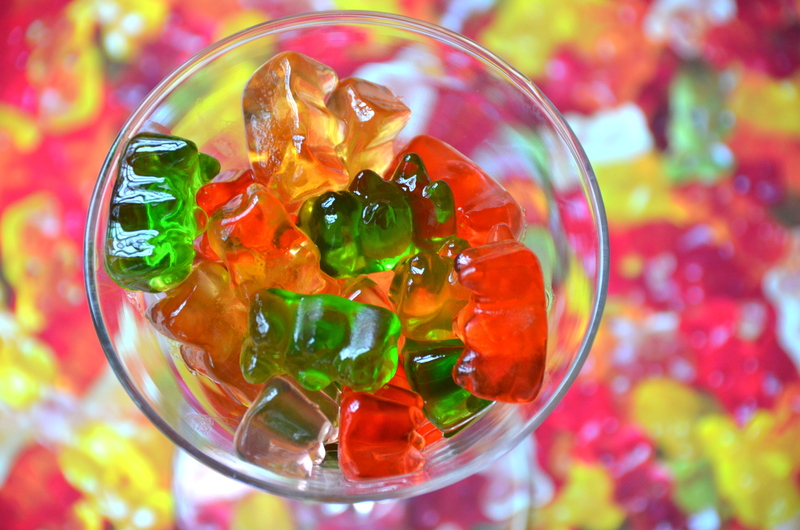 Drunken Gummy Bears. Partying To New Music From Pirate Sons. Q: What do you call a bear without teeth? I saw these on Pinterest and burst out laughing. 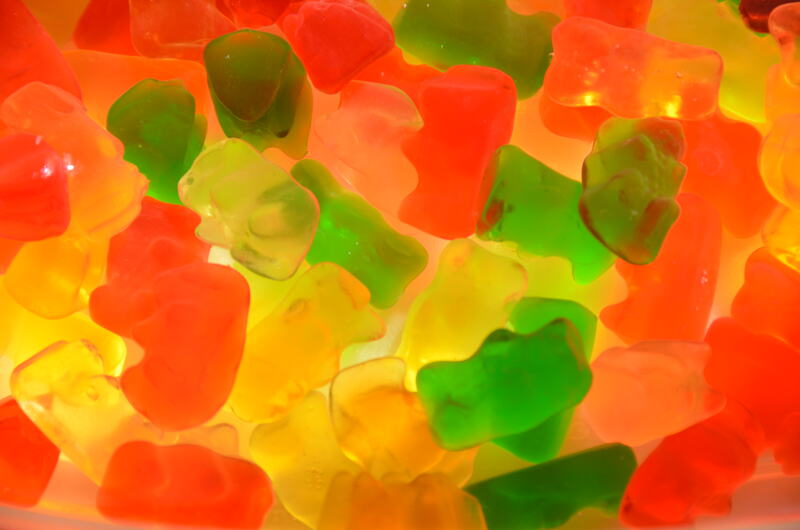 Vodka soaked gummies. What a fun idea. 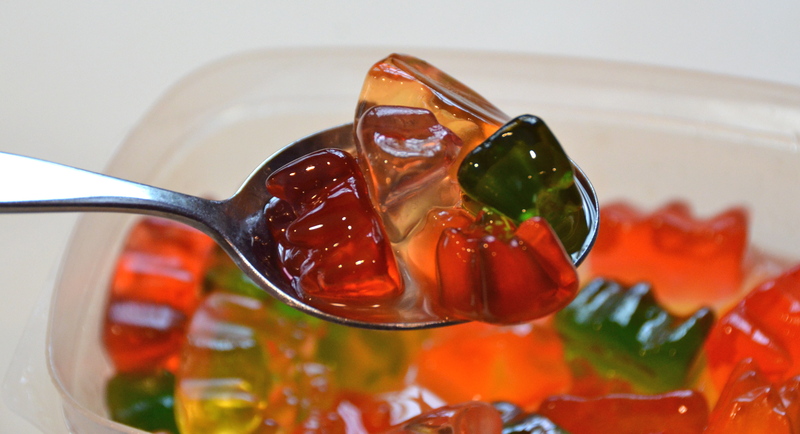 Turns out, as I searched around the internet, people are throwing all sorts of candy into alcohol. I saw Negroni bears, Rum & Cola gummies, Tequila Raspberry bears, and Absinthe gummy bears here. There were some soaked gummy worms here and vodka soaked Life Saver gummies here. I read on some sites where people had problems with the bears turning into a gelatinous mess. I’m not sure if it was the type or grade of alcohol used, but I did not encounter any difficulties with that. My bears swelled up and kept their shape. It has been longer than one week of soaking and I have a festive bunch of completely inebriated bears hanging in the fridge for when I need a quick little nip. 1. 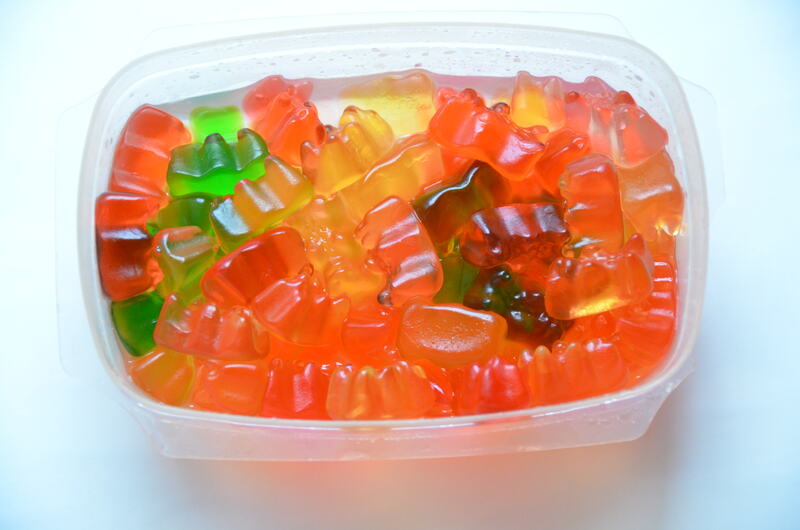 Place gummy bears in a bowl or plastic container. 2. Cover bears with vodka. Cover container and leave in the refrigerator for one week. 1. 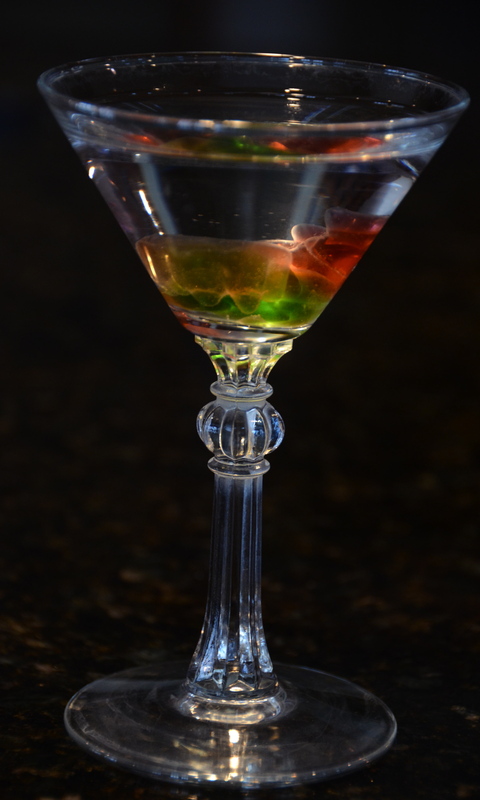 Splash a small amount of dry vermouth into a martini glass and gently coat the inside of your glass with it. Swirl and then discard. 2. Fill cocktail shaker with ice and vodka, shake vigorously to chill the vodka before straining it into martini glass. 3. 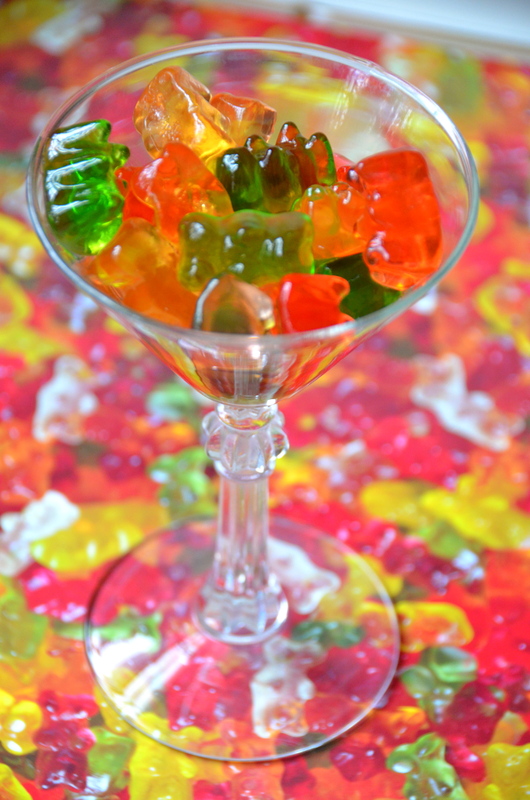 Garnish with gummy bears and drink up. Drunken Gummy Bears deserve some proper party music. Here come Pirate Sons with just the ticket. Currently based in Edinburgh, these guys play bang your head up and down, spot on grungy rock. Check out Pirate Sons on Facebook. You can buy their music on Bandcamp. The band will be releasing a new EP, ‘233U’, on June 2nd. 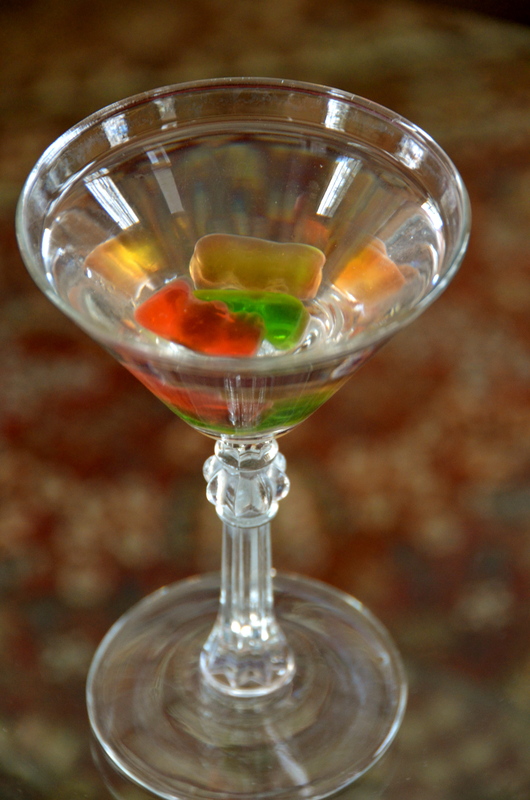 This entry was posted in Beverages, Candy, Snack and tagged Gummy Bear Martini, Pirate Sons. Bookmark the permalink. 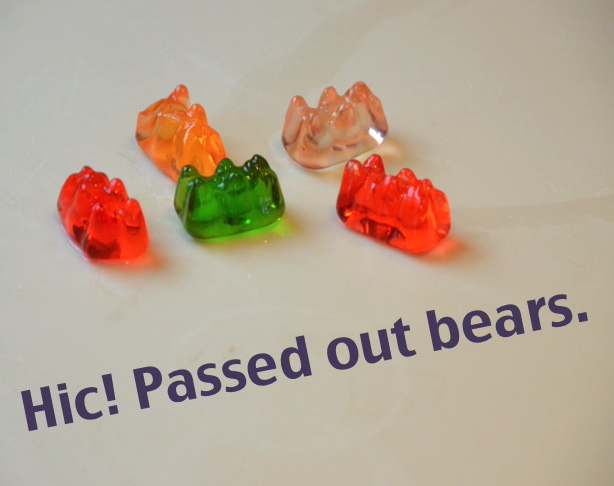 5 Responses to Drunken Gummy Bears. Partying To New Music From Pirate Sons. I did these Halloween 2016 with citus flavored vodka and sour gummie worms-they were a big hit with everyone!! How fun! I love the gummy worm idea for Halloween.